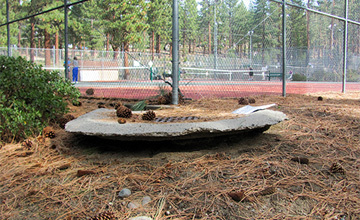 Culverts constructed under Youth Center Drive, the single point of access to the Caliente Youth Center, are significantly undersized for severe flood events. A flood event in January 2005 jeopardized the safety of residents and staff by preventing CYC staff and emergency vehicle access to the CYC facility for evacuation of residents and staff and by creating the potential for flooding of adjacent CYC structures. Flows emanating from the Clover Creek watershed exceeded culvert capacity and overtopped the roadway to a depth of three to five feet. Concern for the rising floodwaters resulted in an air evacuation of the residing children and CYC staff using Blackhawk helicopters dispatched from Nellis Air Force Base. In December 2010, a subsequent flood event occurred which caused severe erosion along the south bank immediately upstream of the culverts threatening the area of the electrical substation that supplies power to the entire community. On behalf of the Nevada State Public Works Division, R.O. 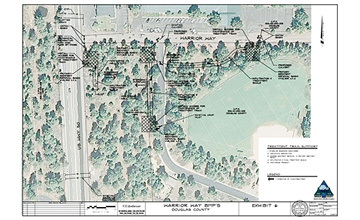 Anderson prepared the preliminary engineering design, preliminary hydraulic analysis, benefit/cost analysis and detailed grant applications for submittal to Nevada Department of Emergency Management and FEMA for the Caliente Youth Center Bridge Flood Mitigation Project to be considered under FEMA’s Pre-Disaster Mitigation Grant Program. The project proposed removal of the existing culverts and construction of a single span bridge able to convey the flood flows. Additionally, R.O. Anderson coordinated with Federal, State and local project partners including Caliente Youth Center, Natural Resources Conservation Service, U.S. Fish and Wildlife Service, Lincoln County, City of Caliente, and Lincoln County Power District #1, and secured both in-kind and monetary matches. The State Public Works Division was notified that the grant application was successful in the FEMA national competitive process. R.O. 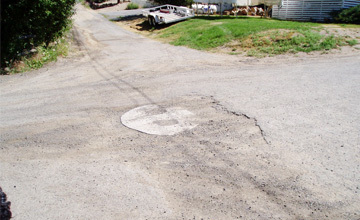 Anderson was also engaged to prepare the NEPA document for FEMA’s oversight on behalf of the State Public Works Board. This NEPA document has been approved and the project has now been funded for design and construction of the estimated $2,500,000 in flood mitigation improvements. Access for many of the schools and businesses located in the Minden-Gardnerville downtown corridor is via U.S. Highway 395. While the speed is reduced on the highway in this area, congestion in combination with a significant number of ingress and egress points, makes both pedestrian and bicycle travel dangerous. The Martin Slough Multimodal Trail was identified and prioritized as a high priority off street trail in the 2003 Douglas County Comprehensive Trails Plan. This proposed regional facility for pedestrians and bicycles will provide over 2.5 miles of paved trail for employees and students and will encourage non-motorized travel by connecting residential areas with major destinations, employment centers and schools. However, funding for design and construction of the trail had not yet been identified. R.O. Anderson identified potential funding for the Martin Slough Multimodal Trail through NDOT’s Transportation Alternatives Program (TAP) funded through the Federal MAP-21 Program. We were engaged by Douglas County Community Development to prepare the detailed grant application and submittal requirements as well as present the project before the Scoring Committee. Both the Nevada Bicycle and Pedestrian Advisory Board and the NDOT Director concurred with the project ranking, and therefore, the project was selected for TAP funding for the FY 2013-2014 cycle. Douglas County was awarded $585,238 from the NDOT TAP for the design, permitting and construction of the approximately 9,833-foot-long paved Class One multi-purpose trail. 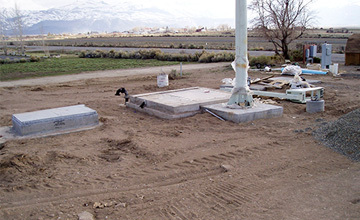 The use of aging, dilapidated storage water tanks at Bridgeport Public Utility District (BPUD), a small water and sewer utility provider located in the Eastern Sierra town of Bridgeport, California was excessively contributing to ongoing maintenance expenses. Furthermore, the system was vulnerable to power outages for critical water and sewer facilities especially on peak days. Finally, arsenic levels in the potable water supply exceeded the new federal standards. Due to insufficient funding, the District was unable to accomplish many of the necessary upgrades. 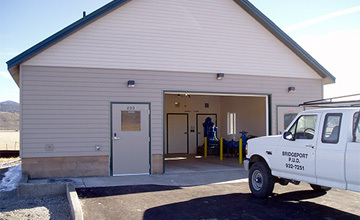 We assisted the District in obtaining partial grant funding to construct two water storage tanks, a new well, a new office/maintenance building and stand-by power supply for all critical facilities. We administered and organized the project as a series of prime contracts to take advantage of specialty contractors and to optimize available grant funding. The BPUD can now meet its peak daily demands and has been able to optimize its rates to establish necessary reserves while minimizing costs to the users. Furthermore, the District now has the ability to prove a history of financial sustainability and solvency and is qualified for additional grant funding and 0% interest loans from both USDA and the California Department of Health Services for the next phase of system upgrades for arsenic treatment and removal. Erosion control problems associated with the Warrior Way area were identified by the Tahoe Regional Planning Agency as a contributor to the decrease in the overall clarity of Lake Tahoe. The Environmental Improvement Program listed the site as a potential capital improvement project for erosion and sedimentation control. Once the preliminary design was determined, we prepared the detailed grant applications and exhibits, as well as a special use permit requesting approval to construct a portion of the improvements on US Forest Service Land. Our staff attended site visits with the grant review committees and coordinated directly with Nevada State Lands and the US Forest Service for any supplemental application requirements. 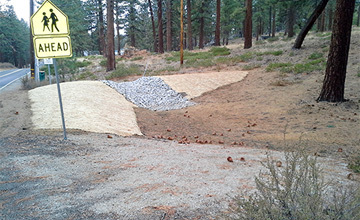 We assisted Douglas County in securing a total of $1.09 million in grant funding from Nevada State Lands and US Forest Service for this erosion control project located in the Lake Tahoe Basin. Our staff worked closely with the Douglas County Engineer to evaluate and design a system and management plan in order to treat the urban storm water run-off generated in this area. We prepared a Preliminary Engineering Report (PER) that evaluated different options for arsenic removal, developed a conceptual design, and budgetary pricing for the preferred option. Through our in depth grant research program, we identified several potential funding sources and provided a summary report to BPUD for consideration. We then prepared the detailed grant applications for submittal to the USDA Rural Development, Water and Waste Disposal Loan Program, and California Department of Public Health, performed the required environmental analysis, and prepared the CEQA document along with Federal crosscutters for submittal to the funding agencies. BPUD was recently notified of funding approval and is awaiting receipt of the funding agreement for $1,520,000 or 80% of the project cost from the California Department of Public Health. Furthermore, the remaining $380,000 or 20% of the project cost will be awarded to BPUD in the form of a zero percent interest loan.